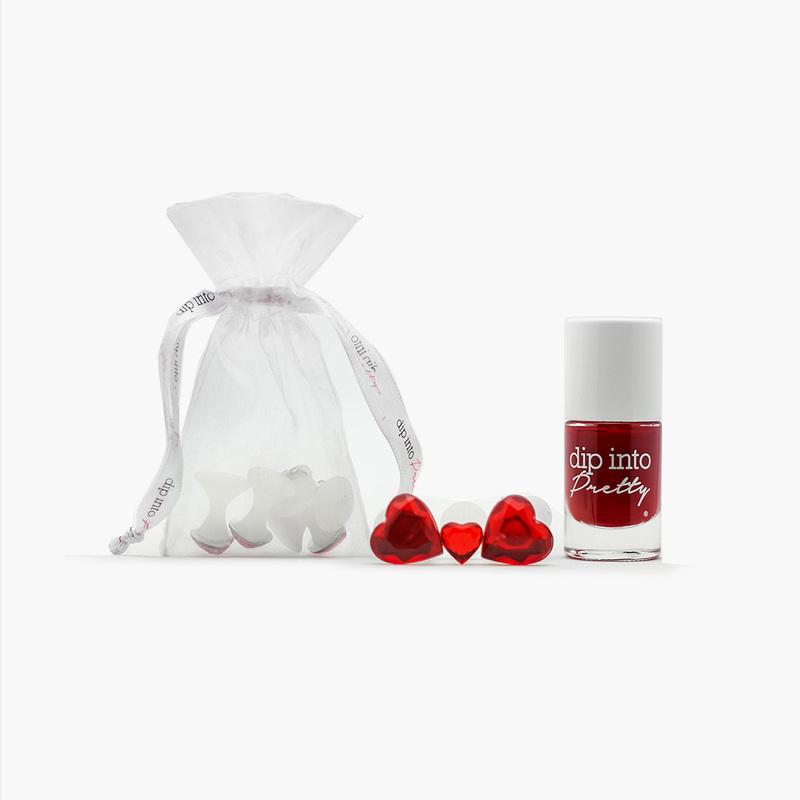 Dip into Pretty creates cushioned and comfortable silicone, patent-pending, individual toe separators and cruelty free nail polish, with a variety of unique designs and colors to fit your mood and personality. 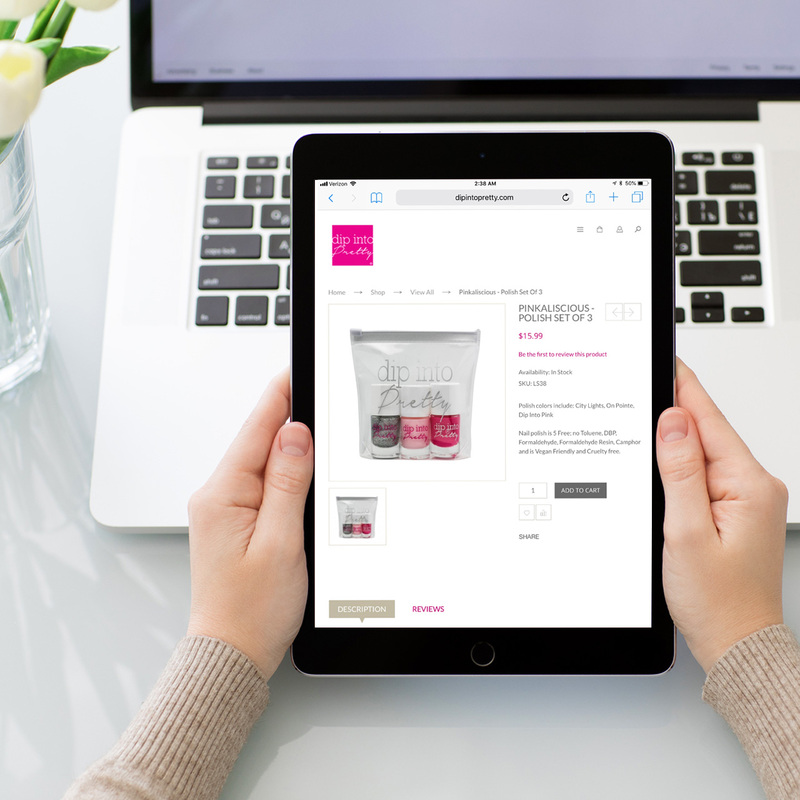 With their sights set on selling online, we provided a robust digital strategy then created a responsive ecommerce website. 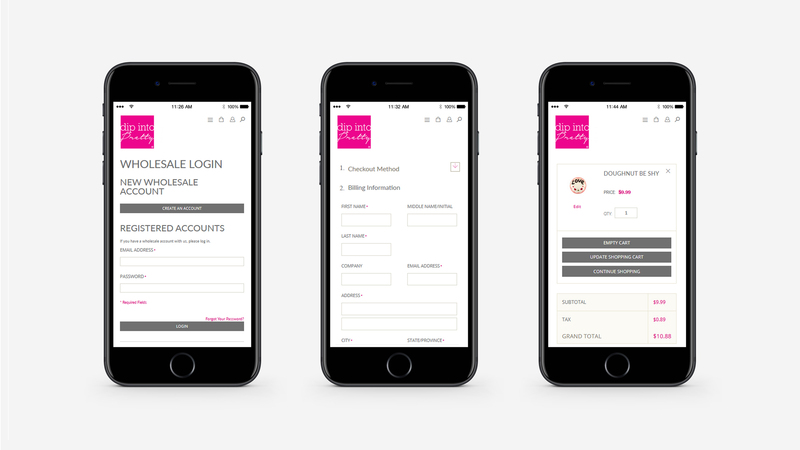 The second phase included a wholesale shopping component for professional accounts with a custom ordering interface. 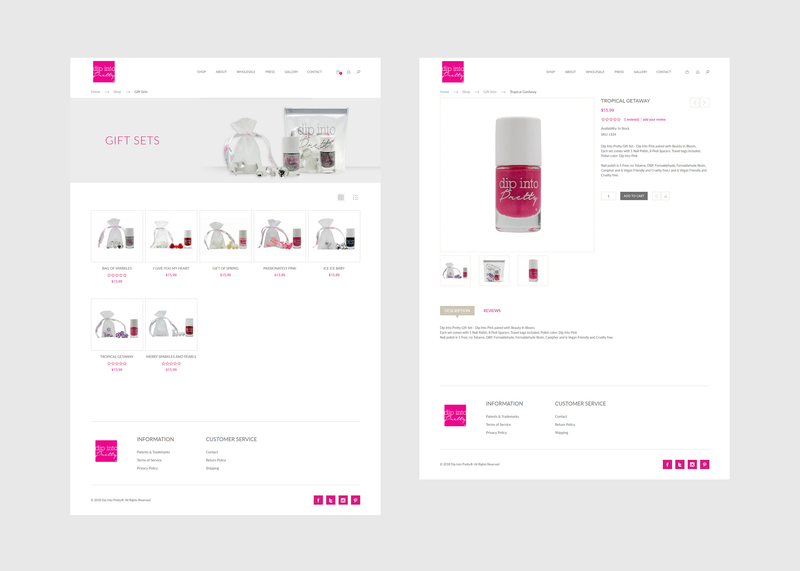 Creating a clean navigation structure and simplified checkout process was a key priority. We also integrated dedicated ecommerce hosting for a fast-loading storefront which could handle increased traffic during targeted promotions. 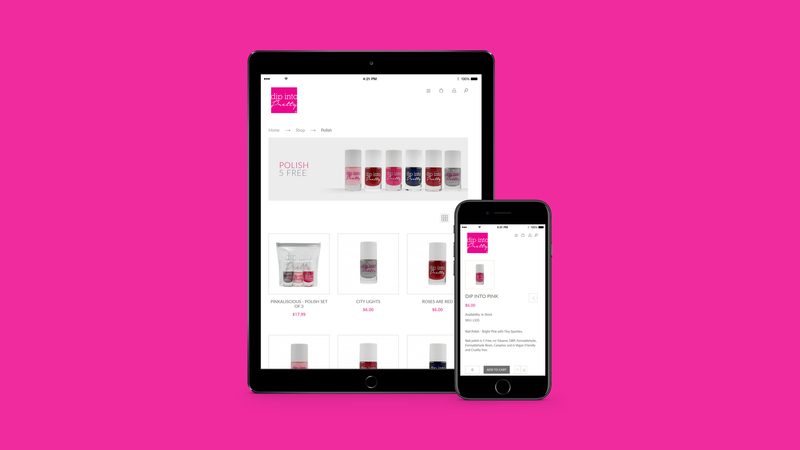 A secondary project goal was leveraging online marketing, so it was important to highly organize products and categories and ensure the shopping experience worked seamlessly across all device types.